Price per tube - 4.6 oz. Aloe vera has long been treasured for its quality and versatility - including dental care. 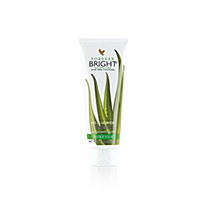 Your teeth will gleam with Forever Bright, one of the best toothgels on the market.